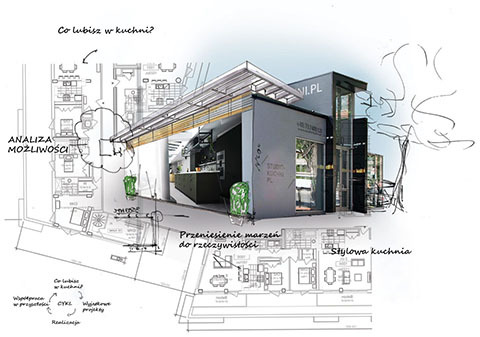 Full kitchen design service in Poland and the European Union. We design stuning, quality bespoke kitchens to fit around your life. Every one of our kitchen is unique, designed to suit you and built to last. The kitchen is the centre of every home, our philosophy is not only the mere design of the kitchen for you, but most of all the creation of places that are vibrant and happy. Each kitchen is started initially on the drawing board. The next step includes designs using the computer technology, in order to obtain the visualization of your kitchen. We design for you, not for ourselves. It is thanks to the individual approach to each client that we are able to guarantee that the kitchen will be ideally suited to the lifestyle and room. Our design is based on the full understanding of all needs and ideas of the client. The sized kitchen is used not only for cooking. Above all, it is a vibrant place, you can eat breakfast there with your children or candlelight dinner. The kitchen is a place of relaxation, reading, working, watching movies, entertainment. The home life often revolves around the kitchen, so we do not ask whether you want to use it, only how you want to use it. 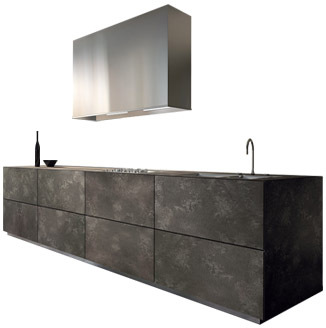 Extensive possibilities of choice of the way to design guarantee the kitchen made according to your needs. Avoiding wasting the potential and space of the kitchen, full use of the room. We will make all of your spaces usable, taking advantage of nearly every inch in your kitchen. Kitchens designed according to the leading standards, trends, and at the same time in accordance with the individual needs and taste. Access to all leading manufacturers of furniture accessories, countertops, lighting, appliances. Welcome to a place, where your ideas and inspirations can be converted into a beautiful, living, functional kitchen, which will become the heart of the house. Over 23years of presence in the industry, we have become specialists in the area of sized kitchens. We perform kitchens in a full range of services (design, arrangement, counselling). Working with us you gain the support of the world-class experts in the field of design and construction of kitchens, a unique and highest-quality design, an exceptional offer of kitchen furniture and accessories, excellent service.The kitchen, which we will create in the joint cooperation, will be a representative place delighting the guests. Additionally, functionality and a beautiful design ensure joy of use for many years. Sized kitchens are a multi-step process. After a professional design and consulting, you should choose all appliances, furniture, accessories. Without experience it is easy to spend money away on useless items. Wrongly designed kitchen not only looks bad, but most of all makes it difficult to work and forces us to unnecessary effort. According to the studies, we change the kitchen every 15-20 years. If one of the design elements or performance is performed badly – this will be most likely related to the long-term anger. Cooking is difficult, there is not enough place in the kitchen for storing food and dishes, over the years we walk extra unnecessary kilometres. If the appliances are incorrectly chosen, we lose the excessive wear and service costs. Meeting your expectations, we perform sized kitchens comprehensively. We provide support and the highest standards at every stage. All this so the choice and use of the kitchen becomes a pleasure and a source of pride. Your satisfaction is the most important for us. Over the years we have been meeting the requirements of clients with dedication, we have developed unique highest standards. The warranty on each product and service. Each product available in our offer comes with a warranty. Which gives you peace of mind that you will get the highest quality merchandise. Customer satisfaction is the most important to us. The whole team is dedicated to providing you with maximum satisfaction from the cooperation. This ensures your satisfaction with the services and the highest standards. For the 22 year-presence on the family and European market we have helped hundreds of satisfied clients by creating the functional and visually attractive kitchens. We will be very pleased, we will also be able to perform the kitchen for you according to your expectations. 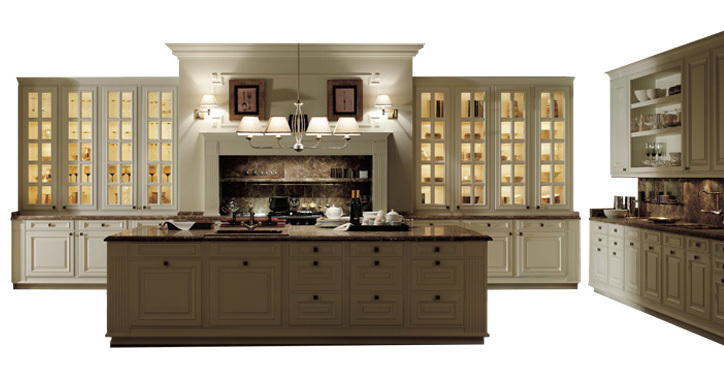 We have over 19 000 items in the offer, of which we create individual sized kitchens. Products come from all leading global manufacturers. We have got furniture, accessories, lighting, appliances. We design efficient and durable kitchens. We help you choose the best possible quality and the most efficient elements of the kitchen, according to our preferences and budget. With us rather than overpay – you gain an efficient, durable kitchen, tailored to your preferred budget and expectations. From the beginning till the end. Thanks to the highest quality standards and dedication to your satisfaction, we guarantee to meet all the expectations from the beginning to the end of the cooperation. You can select any range of services. From simple functional 2d designs, to executive projects including cost estimates and offering the construction supervision. Step 1, call us or contact through e-mail with the designer. Step 2. Kitchen design, consulting, arrangement, technical projects. Using the extensive and long-lasting knowledge on functional solutions, accessories, latest trends, we combine our expert services in consultation with you and with the full adaptation to the requirements. With this combination we are able to create the innovative, practical kitchen with the look that you will love. This is true for both the kitchen style, its size, countertops, solutions for storing food, materials, colours, waste sorters.